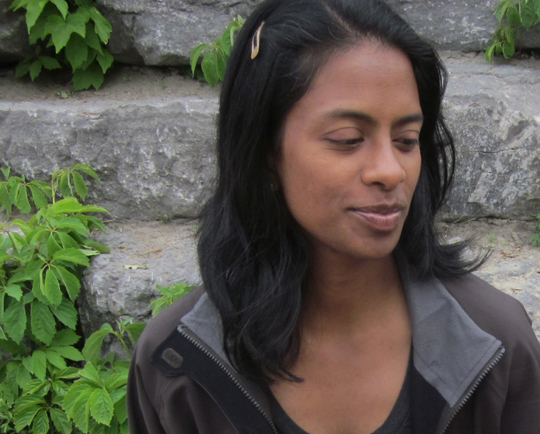 Sneha Madhavan-Reese is an award-winning writer and author of the poetry collection Observing the Moon. Her poems have appeared in publications around the world, including The Best Canadian Poetry in English 2016. Sneha was a featured performer at VerseFest 2018 and was a finalist for a 2018 National Magazine Award. Look for some of her new poems in the Spring 2018 issue of Rattle, the Fall 2018 issue of EVENT, the Winter 2019 issue of The Fiddlehead, and in upcoming issues of Alaska Quarterly Review, AUIS Literary Journal, The Moth, and New Contrast.